taped to a piece of paper! 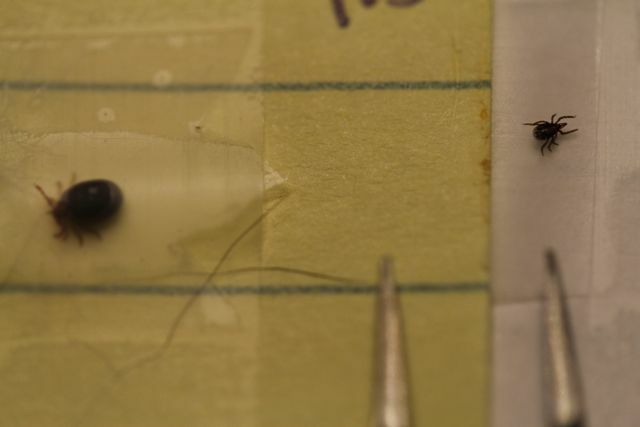 I used the handy pointy tweezers, you can see the photo of them below. One engorged, the other not. 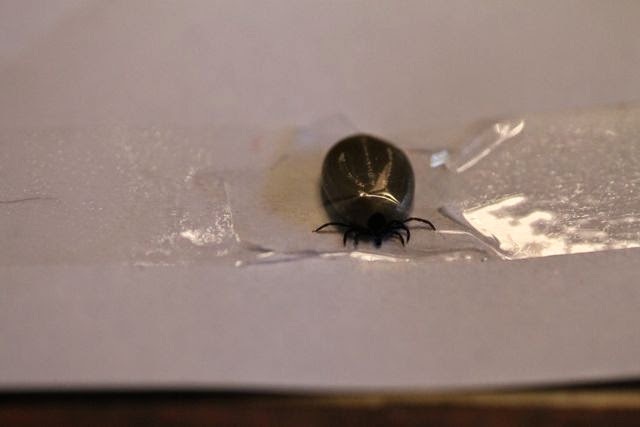 The tick counts for 2014 have totaled 52 this year. Compare this to the 89 we counted last year. This is a good thing. We had a long, cold winter and I hope it killed some of them off. I have no idea what kind of ticks they are, we just assume that they need to be removed. Climate Change has had an impact on this disease. They are able to survive our cold climate as it is warming up. 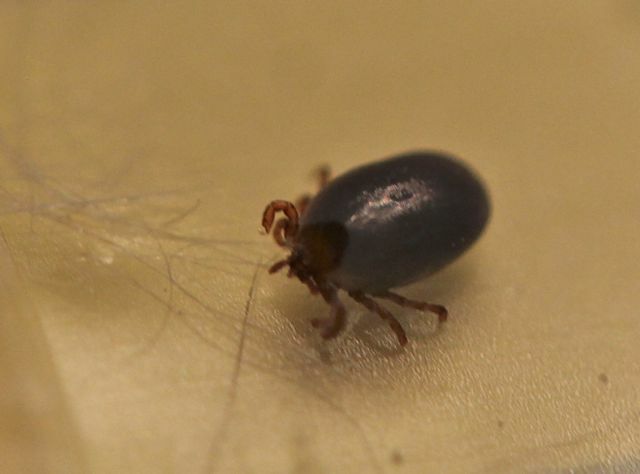 In 2005 researcher Nicholas Ogden wrote that the geographic range of the Lyme-carrying tick could expand northward due to climate change in this century. after a long, hard winter. indiscriminate in their choice of host and will feed on humans when the opportunity arises, thus potentially transmitting infections of wildlife to humans. There has been some ignorance, mostly on the part of physicians, who have denied the symptoms of Lyme Disease. This year, the health agencies have been celebrating a lower rate of infection, but this is simply the result of fewer ticks, I believe. It will be easy for their numbers to bounce back in a less severe winter. The Green Party has demanded a National Lyme Disease Strategy, Lyme borreliosis. This is laudable, but I'm not sure it will make a difference. Each province and territory has its own healthcare system, with transfer payments and Canada's Public Health Agency having a hard time whipping some provinces into shape. 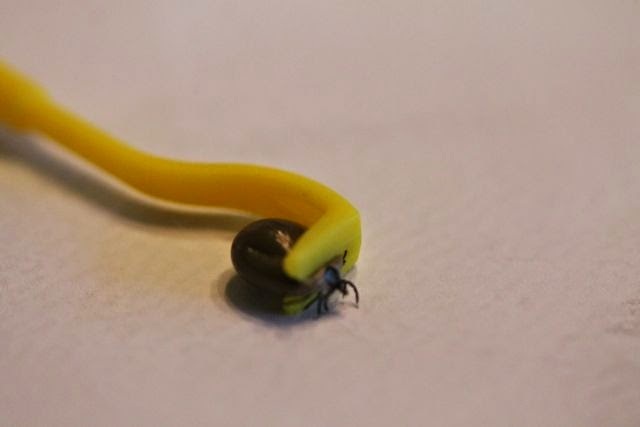 For years, in our region of southeastern Ontario, physicians have ignored the symptoms of Lyme Disease, and have attributed them to others diseases like Lupus or Fibromyalgia. This has changed as those who work outdoors have succumbed to Lyme Disease. Climate change is just one of the factors, since both tick species are able to complete their life cycles in our short summers. Habitat suitability, host abundance and dispersal by hosts, are the other three factors. For the most part, it is the physicians who must be aware of the symptoms. Those afflicted with the disease have learned to self-advocate. In the USA, in 1991 they had <10,000 reported cases. By 2013 they had reported 27,000 confirmed cases. This is the crux of the issue. Local agencies aren't testing for it anymore, they tell us not to bother sending ticks in, since they know the bacteria is in eastern Canada. 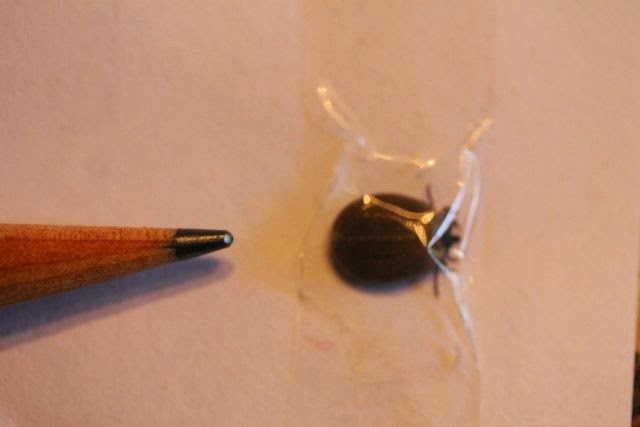 Here is the tick I pulled off of Daisy the other day. It was on her neck, fully engorged. Vett Lloyd was a biologist studying cancer genetics when she caught a disease Canadian public health officials said she wouldn't likely catch in Canada. It changed her life. Photo courtesy Vett Lloyd. But officials told her not to worry, Lloyd said. Lyme disease was exceedingly rare in the forested maritime province northeast of Maine. The tick was tossed untested. The next year brought agony: Fatigue, fevers that would come and go, aching joints, and finally, trouble lifting her arms or walking. 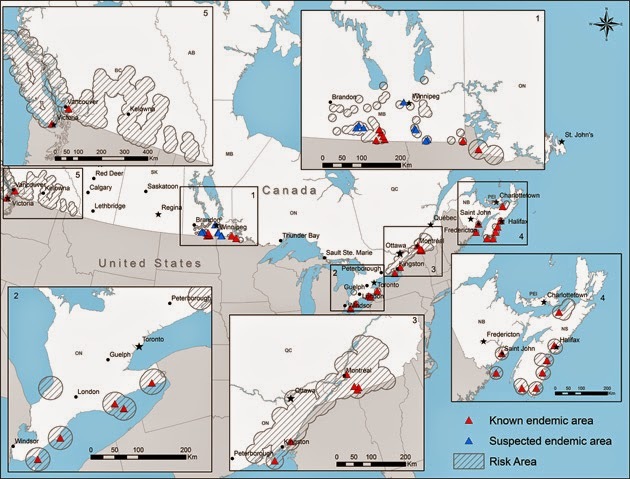 Presents the geographic distribution of endemic areas in Canada: incident rate in Canada and the US, and discussion of linkage of diagnosis, ecology, and geographic distribution. Lymes disease is scary.. 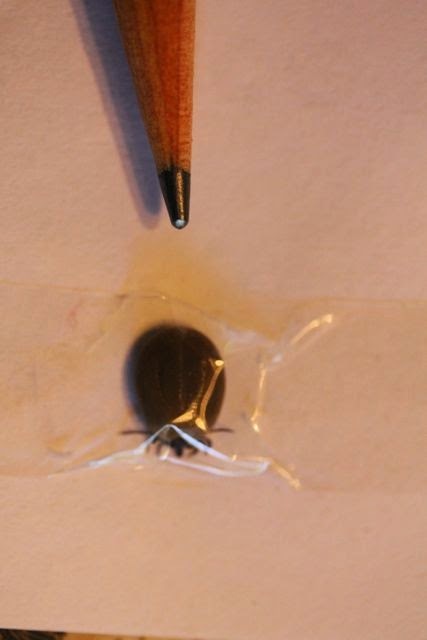 These tiny ticks are hard to see.